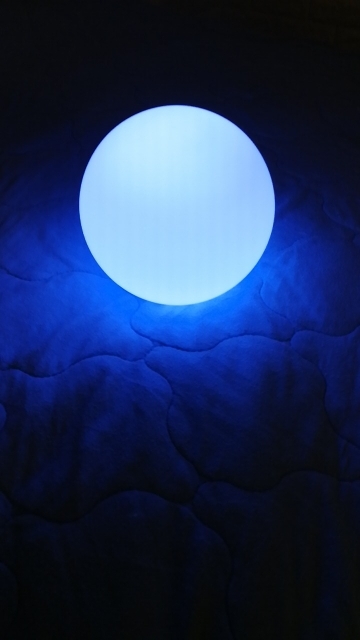 PLAYBULB sphere is a Bluetooth colorized ball lamp and mainly used as indoor decorative bulb. With free app control, you can change its brightness, control ON/ OFF, RGB colors, light effects, set timers, security mode, control in groups and can collect colors from additional pictures to make it display and other functions. 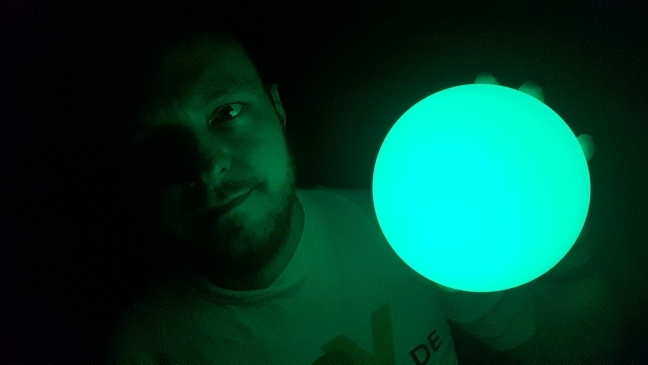 You can also change its colors by patting its glass light ball or shake your phone. 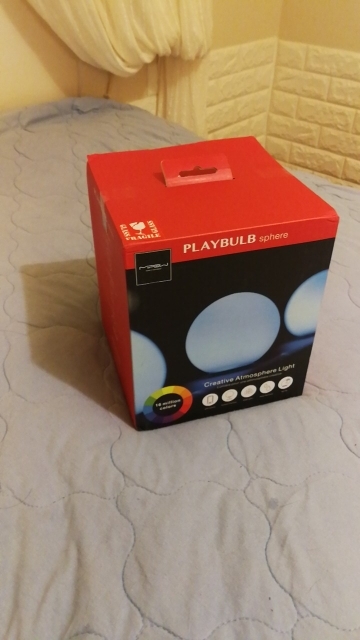 Different from the traditional light bulb, PLAYBULB sphere comes with wireless charger itself on the bottom, so you don’t need to match extra power supply unit. It is a great lighting center piece for home decorations. 5 lighting effects, and a grouping feature for more than one sphere. Select the colors and have fun! Just place the sphere on the included wireless inductive charging dock to recharge it. 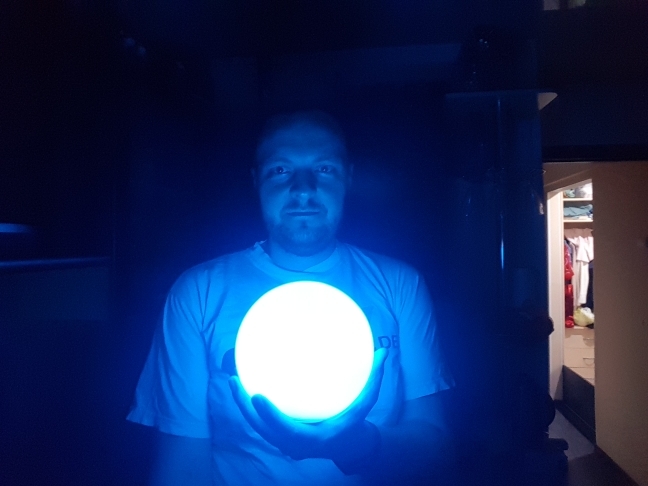 With every full charge, the sphere will operate up to 8 hours. The sphere provides the freedom to take it wherever you go. By tapping it, you can manually change the color presets to the one you like. Tap it as many times as you like. Our concept idea was to bring forth a brand new experience in smart lighting that is long lasting. The feeling of a glass-designed texture brings a naturalistic look and beautiful setting anywhere. The sphere provides a high rating of IP65 water resistant level for protection. It allows for the use in wet environments such as the pool side and garden area. There is no limit to what can be done with the sphere. From setting a mood to a room or using it for relaxation, the possibilities are endless. Just create your own sphere experience! 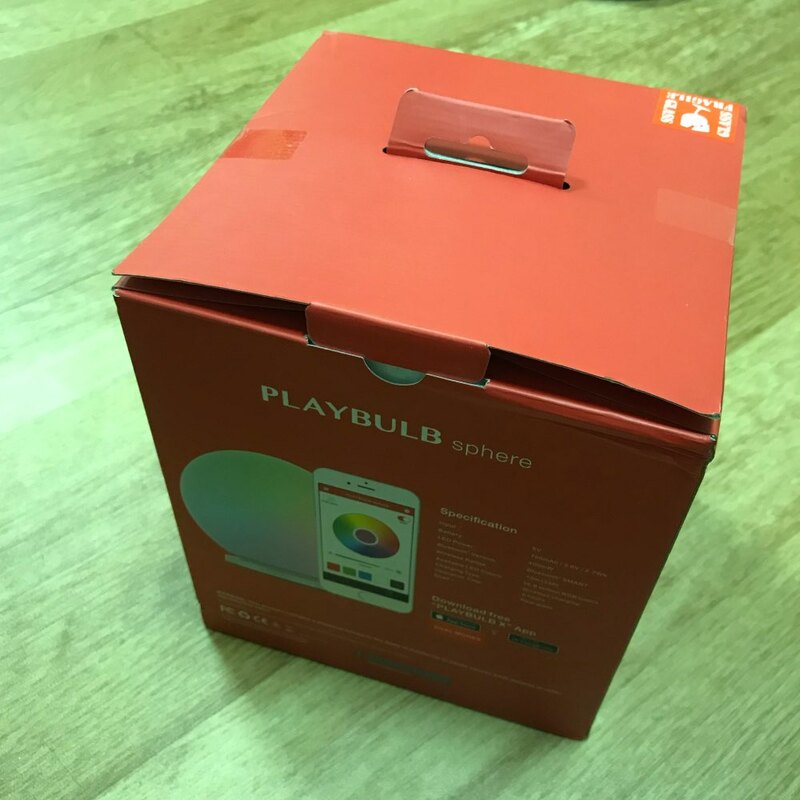 Our newest member to the PLAYBULB family! 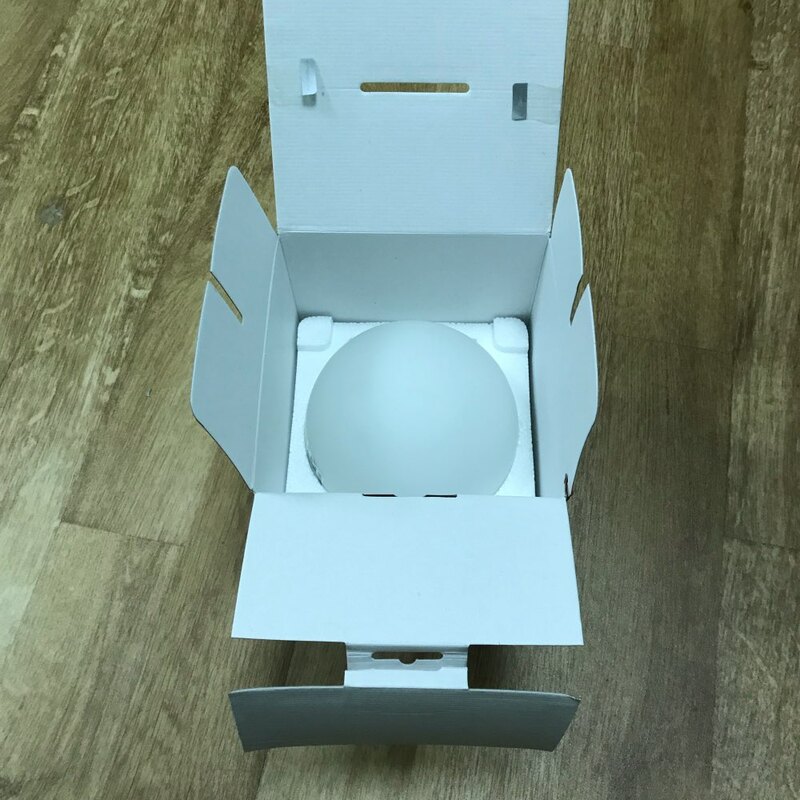 "The sphere has the nice design, with wireless charging base. 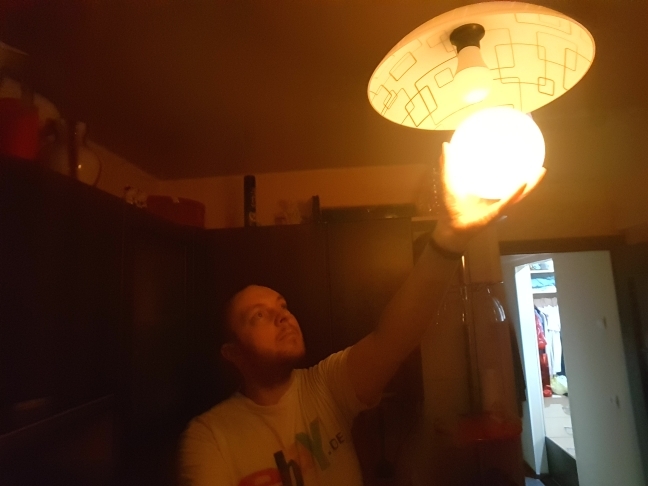 Able to set the timer to have bulb come on/off at a certain time. It's responsible and the app has some cool programming features. " via app.I really do love it! I think this could be the best. SMART CONTROL: Wireless control its ON/OFF, brightness, color, color effects and timer configurations from your smart phone or tablet via free app downloaded from iOS App Store or Android Google Play. Control up to 5 spheres per group and multi groups can be created. The exclusive "SHAKE CONTROL" enables you to shake phone to change colors. 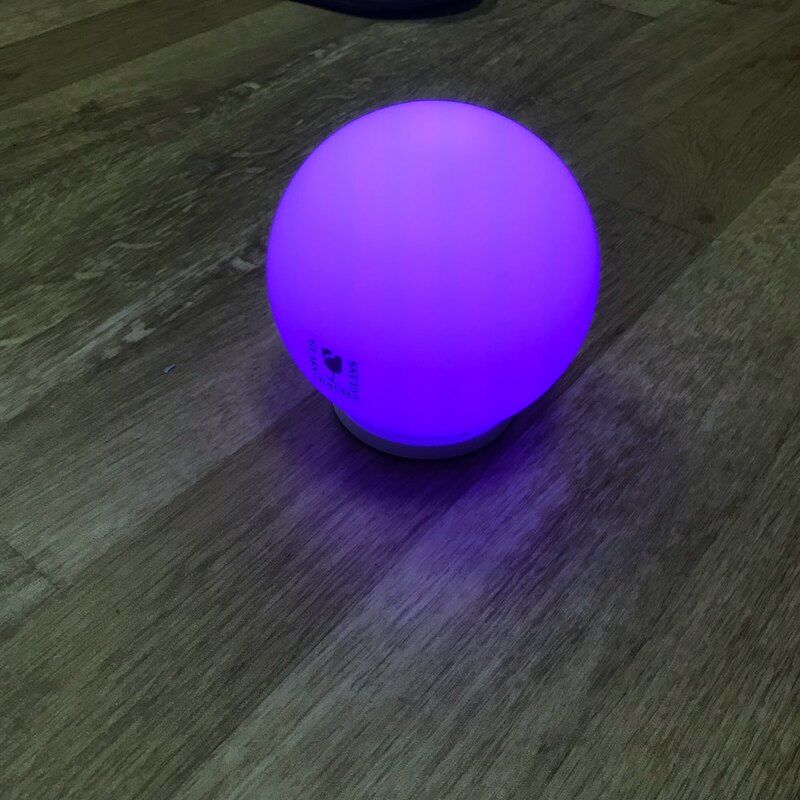 MOTION SENSOR: Enable you to tap the ball light to change its colors or turn it off (white, red, green, blue, rainbow fading effect, turn off). WIRELESS CHARGING: Built-in 700 mAh lithium-ion battery, charge it completely within 3 hours by simply putting it on the included wireless charger. 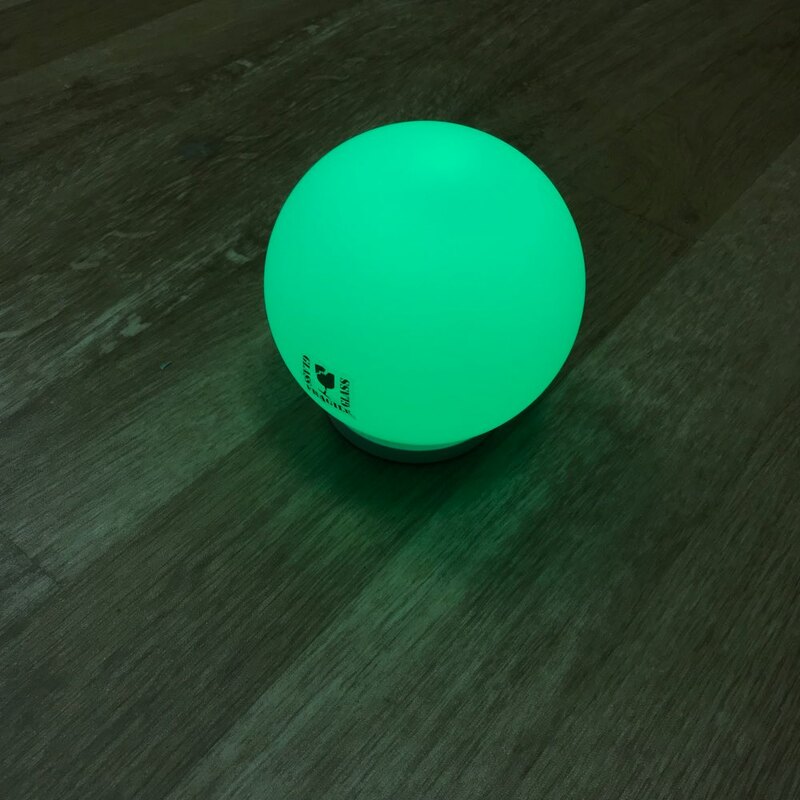 16 MILLION COLORS & 4 EFFECTS: Change your smart PLAYBULB sphere up to 16,000,000 RGB colors. 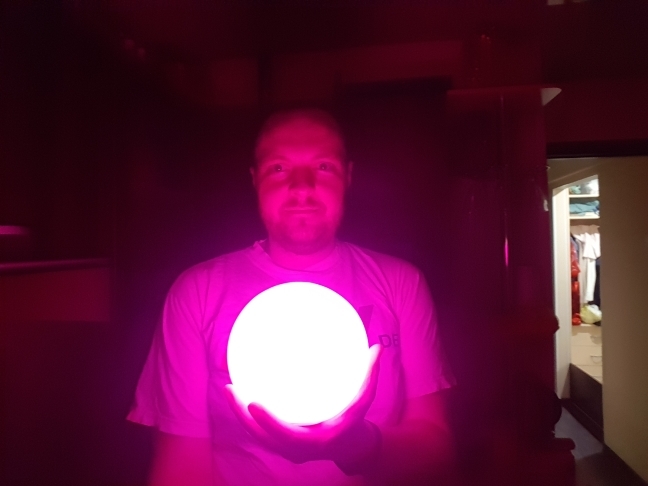 Pre-set 4 color effects: Pulsing, Rainbow, Fading, Flashing set your PLAYBULB sphere in motion. TIMER SETTING: Set a timer from PLAYBULB X app to turn it ON/ OFF at preset time and color, eg. create Wake-up mode or Sleep mode to let your favorite colors wake you up or put you to sleep. The sphere provides a high rating of IP65 water resistant level for protection. It allows for the use in wet environments such as the poolside and garden area. PLAYBULB sphere for iOS app is compatible with devices running iOS 7 and above with Bluetooth 4.0 and above. 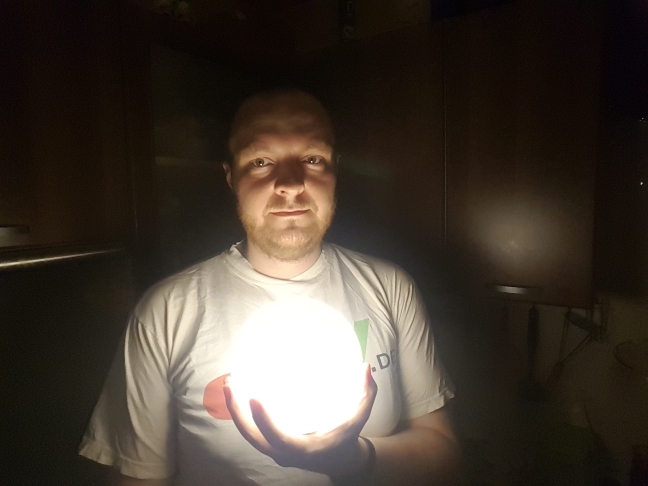 PLAYBULB sphere for Android is compatible with devices running Android 4.3 (JellyBean) and above with Bluetooth 4.0 and above. Excellent, I love this light. It was my first purchase of smart lighting, and I'm amazed at the customization in the apps. However, the brightness of the white light can further be improved.